The Blueprint for Advancing High-Value Maternity Care Through Physiologic Childbearing aims to chart an efficient pathway to a maternity care system that reliably enables all women and newborns to experience healthy physiologic processes around the time of birth, to the extent possible given their health needs and informed preferences. The authors are members of a multistakeholder, multidisciplinary National Advisory Council that collaborated to develop this document. 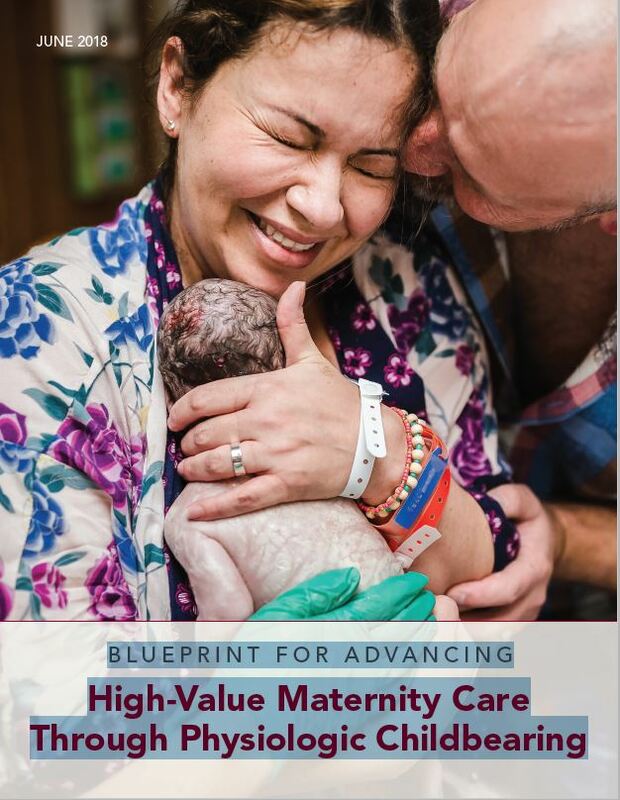 "The Blueprint identifies six widely accepted improvement strategies to transform maternity care and a series of specific recommendations within each strategy. Each recommendation is presented with immediate action steps to directly or indirectly increase access to healthy perinatal physiologic processes. The recommendations and action steps address many barriers to optimal care in the current maternity care system. The recommendations and action steps reflect unprecedented opportunities for innovation in the rapidly evolving health care environment. To realize system transformation, innovation must be accompanied by continuous evaluation and publication of results, refinement, and the scaling up and spreading of effective approaches. This Blueprint’s six improvement strategies are as follows. Improve maternity care through innovative care delivery and payment systems and quality improvement initiatives. Advance performance measurement for high-value maternity care. Meaningfully engage all childbearing women and families. Transition to interprofessional education that supports team-based care for maternity care professionals. Foster an optimal maternity care workforce composition and distribution. Conduct priority research to advance the science of physiologic childbearing and its impact on maternal and child health outcomes." For more information and to read or share a copy of this good news, go HERE for the digital landing page, or HERE for the PDF copy of the full report.